Onboarding new hires can feel like a small miracle. They start without many of the skills they need to serve your customers. 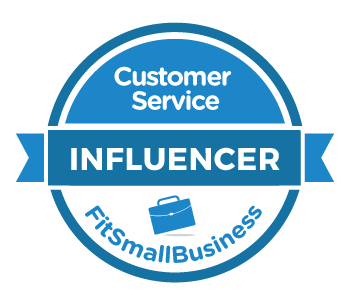 Then, in a relatively short period of time, they transform into customer service superstars. At least, that's how it's supposed to go. The reality can be a bit different. Managers don't always devote enough time. Employees can get lost on the learning curve. Customer service often suffers. This post explores three ways that effective onboarding can boost customer service. To start, check out this short video that highlights the importance of onboarding by tracking two new hires who have very different experiences. It just so happens that the average contact center takes about three months to fully onboard it's new hires. There are two ways to look at this. One, is onboarding is so great that the actual job pales in comparison. This might be true. But, the other way to look at this is onboarding is so disconnected from the day-to-day realities that employees are in for a rude awakening as they transition into their new job. A good onboarding program prepares new hires for success. It helps them become engaged with the company's culture. They become committed to helping the company succeed and feel they can make a difference. And, it helps ensure their satisfaction rises once they've graduated from training. It's awkward to be served by an obviously new person. A new employee was recently learning the ropes at my local coffee shop. The line continued to grow as each transaction took longer than average. He smiled awkwardly as he tried to swipe my credit card several times before realizing he was doing it the wrong way. Other customers asked him questions he couldn't answer. He repeatedly had to ask another co-worker for assistance, which made it hard for this employee to connect with customers on his own. This situation wasn't his fault. He hadn't yet been trained. He didn't yet have the skills to serve customers quickly. It was also an unfortunate choice train him on the register during a busy morning. Every customer that day paid a small price for this employee's learning curve. Good onboarding programs avoid this problem. They use careful timing and smart design to train employees on important skills while minimally impacting service quality. You hire more people because you need more people to keep up with demand. The problem is those new people take time to fully onboard and train. Customers have to continue waiting longer until that happens. It's not just in my local coffee shop. Think hold times in contact centers, longer lines in stores, or slower service in restaurants. Short-staffed usually equals slow service. A good onboarding program can help fix this. It ensures new hires are trained faster and better, so short-staffed periods are kept to a minimum. There's a new training video that will show you how to create your own employee onboarding program. You can watch a short preview, but you'll need a Lynda.com account to watch the full course. Don't worry - you can get a 10-day trial just be dropping my name. New hire training time is unproductive time. The new hire doesn’t yet have the skills to do their job. Someone else must take time away from their day-to-day responsibilities to train the new person. That puts you at least two people down at a time when you hired an extra person because you needed extra help. It can be tempting to cut corners and provide too little training. This can be dangerous. 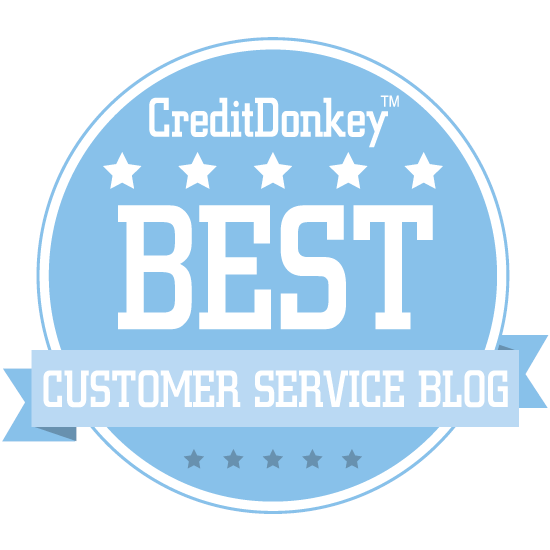 I recently wrote a blog post describing what happens when new customer service employees aren’t fully trained. It told the story of Jesse, a new employee in a bagel shop who felt lost because she didn’t get enough training before being asked to serve customers. Some companies overcorrect and provide too much training. This can be wasteful. One of the services my company provides is helping clients develop effective new hire training programs. I’ve helped clients reduce new hire training time by as much as 50 percent with no decrease in performance. The secret is creating a laser focus on giving new hires the specific skills they need to succeed at their jobs. Any topic that didn’t help them do their job was eliminated. So, you don’t want to cut corners on training. You also don’t want to waste time and money. And, you’re not an expert in adult learning theory. What do you do? You need a performance checklist. Most training programs are doomed to fail. That’s because the emphasis is placed on what the trainer will tell the trainee. The result is a lot of aimless wandering and blah blah blah. An effective training program focuses instead on what the trainee needs to do. The trainer creates clear objectives and then works backwards to figure out how to help the trainee accomplish those goals. The easiest way to capture this is by creating a performance checklist. A performance checklist describes a set of actions that a trainee must successfully complete to do their jobs correctly. The trainee isn’t fully trained until they complete each item on the list. The best part is you should already have one. Think about the performance standards you have in place for your employees now. Chances are, there’s already a checklist of some kind involved. Whatever you use to describe good performance, that’s your target. Get your new hire to perform at that level and they’re trained. Now, all you need is a little bit of planning to make it happen. Once you’ve identified the performance checklist that will guide your training, you’ll need a plan to get there. This involves breaking down the checklist into specific steps or lessons. By virtue of being a checklist, this may already be done for you. Let’s say you want to train a new server in a restaurant. Your handy list of guest service standards (a.k.a. performance checklist) doubles as a lesson plan. The key is the new hire must demonstrate good performance to complete each lesson. So, to complete lesson #1, your new server must demonstrate the ability to greet guests in a warm and friendly manner. You don’t focus on lesson #2 until lesson #1 is complete. It may seem a bit simplistic, but that’s the idea. Breaking down training like this makes training easier for the new hire. That, in turn, makes good performance easier. Getting your new hire to deliver good performance quickly is the ultimate goal. I wrote a post a few weeks ago about Jesse, a new bagel shop employee who was lost on the learning curve. She was set adrift on a busy morning without proper training. As a result, she didn’t yet know how to be useful. It was clearly an awkward situation for her. I wondered if she would last very long. I visited the same bagel shop last weekend and saw a completely different Jesse this time. She was confident and smiling as she served her customers. She had a job to do and she knew how to do it. Her job this day was filling orders for customers who wanted to get a dozen bagels. She helped one indecisive customer by making a few suggestions to round out his selections. Jesse even joked with customers waiting in line by suggesting that all they had to do to skip the line was buy a dozen bagels from her. Her personality was muffled and restrained by inhibition the first time I saw Jesse. Three weeks later, her personality sparkled. Jesse had two things that she lacked when I first saw her three weeks ago: competence and confidence. Three weeks ago, Jesse was at Level 2 on the learning curve. She lacked the competence to do her job. It wasn’t her fault - she hadn’t yet been trained — but that lack of ability in turn hurt her confidence. Nobody likes to look and feel inept. Especially when there’s an audience (a.k.a. customers) to see it. All new employees have to go through this stage to some degree, but a lack of training exacerbated the situation by unnecessarily prolonging this stage. This day, Jesse had attained “Level 4” on the learning curve for fulfilling requests for a dozen bagels. This is where an employee’s skill level and confidence are both high. They’ve mastered a particular task to the point where they can do the job without thinking through the steps. This ability to just flow allows them to infuse their own personality into the situation. Getting from Level 2 to Level 4 requires time. A lack of training makes it take even longer. Employees like Jesse are at risk during this period because they aren’t yet able to do their jobs effectively. They may even decided to quit if the process is too uncomfortable. Good for Jesse for sticking with it. Here are some tips from my previous post that can help keep new employees from feeling lost. Let them know it’s okay to make mistakes during training. Commend then on the progress they’re making. Be available to guide them and provide assistance. Encourage them to stay on track. You can revisit the entire post here if you'd like a more in-depth explanation of the learning curve. Are your employees getting lost on the learning curve? Jesse stood awkwardly next to her trainer who was ringing up customer orders. It was a busy weekday morning at the bagel shop where Jesse had just started working. The trainer didn’t have much time for training. Jesse anxiously looked over the trainer’s shoulder, hoping to learn some of the cashier functions by observation. She felt self-conscious as customers looked at her and wondered why she wasn’t taking orders too. She wanted to be useful but she didn’t know how. Jesse hadn’t yet learned to ring up orders. She hadn’t yet learned to make orders. She didn’t know how to operate the espresso machine. She could wipe down tables, but all the tables were clean. She could pass out orders, but there weren’t any orders to pass out at the moment. A chance to serve finally came when a customer approached and asked her a question. The awkwardness quickly returned when Jesse realized she didn’t know the answer. She had to interrupt the store manager who was also busy cashiering. Most new employees aren’t fully trained when they begin serving customers. Stan Phelps recently wrote that only 25 percent of companies have a formal on-boarding program. For the remaining companies, on-boarding consists of a minimal amount of training before being thrown into the fire. Minimally trained new employees know how to do a few things but don't know how to fully do their jobs. They must constantly stop and ask questions. They lack the skills, experience, and confidence to serve customers the right way. It’s just that customers don’t care if this is your first hour of your first day or your 10,000th hour on the job. They expect to be served a certain way. This puts added pressure on the new employee who wants to get it right but doesn’t yet know how. Experienced employees and managers often don’t understand either. They’re the ones who should be helping the new employee succeed, but it’s been too long since they were in their shoes. Besides, they have a lot to do today besides training. So new employees like Jesse fumble along. Some eventually learn to do their jobs and do them well. Others pick up bad habits and never fully realize their potential. Still others dread the feeling of awkward helplessness that comes with being new and quickly decide to take their talents somewhere else. It’s this place between minimal training and customer service mastery that so many employees like Jesse are needlessly lost. Preventing this from happening requires an understanding of where new employees get lost on the learning curve. Noel Burch first identified four distinct stages along the learning curve. Each stage is marked by the learner’s skill level compared to how conscious they are of their skill level. Stage 1: Trainers sometimes refer to stage 1 as the bliss stage because learners don’t know what they don’t know. For a new employee, this might be just prior to the start of a new job. You’d expect someone to be excited about working somewhere new. Stage 2: Learners become aware of their limited skill level when they reach stage 2. This is usually marked by a corresponding drop in confidence. New employees typically reach this stage when they start learning a new skill. Stage 3: Learners can demonstrate the skill at a minimal level but they haven’t mastered the skills necessary to be fully successful. The newness and unfamiliarity of the skill makes them very self-conscious This means confidence remains low. New employees like Jesse are typically somewhere between stages 2 and 3 when they start working directly with customers. Stage 4: Employees reach stage 4 when they can do their jobs without really thinking about the basic procedures. Confidence here is generally high. It’s critical for trainers to offer encouragement to new employees during stages 2 and 3. The store manager and the trainer at Jesse’s bagel shop weren’t doing any of these things. They were both too busy serving customers to notice Jesse trying hard not to get lost.